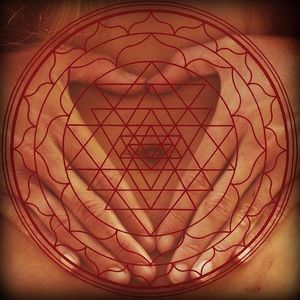 Womb Pulsing is a gentle yet powerful non-sexual method to move massive amounts of energy and awaken the shakti energy lines of your womb and body. An ancient technique from the lineage of Tibetan Khandros and Dakinis, it originates from pre-patriarchal times when women were leaders and shamans. It is a way to attune to the creative power and wisdom of your womb and her natural cycles. Tibetan womb pulsing aims to awaken the pulse of life again and has been called CPR for the womb. Healing Endometriosis, menstrual issues or pelvic stagnation, Increasing Libido and sexual pleasure, Boosting self esteem and personal power, Promoting fertility and feminine vibrancy, Catalyzing sexual awakening and ecstatic states, Healing sexual trauma and shutdown. Womb Pulsing is also a shamanic journey which allows you to enter the dreamtime for healing. As your body begins to release energetic blocks in the muscles and chi lines, cellular memory is unleashed and you may gain insights regarding your physical habits - you may even experience visions from other lifetimes and retrieve any power you lost there. The beautiful and sensual Breast-Heart Radiance practice opens our heart chakra. Our breasts become expressions of our loving hearts and are connected to the pleasure centers of our yoni and womb. By tending to ourselves in this way we attune to the inward flow of loving ourselves and allow the heart to receive this tenderness, this kindness we offer to ourselves. Opening to receive love then allows our radiance to shine outward and flow into the universe. This opening allows our love to touch the people around us. By doing these two practices together we connect our soft feminine radiance to our wild, creative power. When we activate, clear and connect these energy portals we align ourselves with creation itself and can birth anything into being with loving intention and fierce conviction. Weave a connection between the heart and the womb ~ between the dragon and the dove. Reclaim your freedom with the wild red river of womb pulsing; connect to the divine with the soft white river of the heart radiance. Tibetan Pulsing was first ‘rediscovered’ in the 1970’s by an American man called Dheeraj, who claimed it had originated in Tibetan monasteries thousands of years ago to prepare the body for enlightenment – a claim validated by numerous Tibetan rinpoches. After his death in the 90’s Tibetan Pulsing then spread round the world, taught by many different teachers in different ways. Womb Pulsing as taught by Womb Priestesses such as CarolMarie is a unique evolution of this practice combining years of training in medicine and anatomy with original research on the feminine Tibetan khandro traditions. CarolMarie brings a gentle and compassionate approach, weaving an understanding of sexual trauma and hormonal health that allows women to open into greater health, harmonious relationship with their feminine bodies, and embody more pleasure. The practice is performed fully clothed. You work with a partner. You can work with a friend you come with or with a woman you meet at the workshop. While receiving you lie down and your partner gently pulses your womb right above your pubic bone (on your belly) in either a straddled position with her root or with her hand. The receiver lets the giver know what tempo and pressure she would like and communication is encouraged during the entire process. Womb pulsing helped me to release trauma and pleasure from my womb. The session was beautifully cathartic for me. During the session I cried, sobbed, laughed and made sounds of ecstatic pleasure. Afterwards my womb felt full, energized and nourished. I felt a profound sense of radiance, grounding and fullness in my whole body. CarolMarie held a beautiful, compassionate, safe and sacred space for all the women who attended. I had such a powerful experience when I did Womb Pulsing with CarolMarie that I have chosen to host her for a workshop so more women can experience this incredibly beautiful, powerful and radiant practice. This event is for women & people who identify as women only. TICKETS WILL PROBABLY SELL OUT. We only have space for 18 women. The last one sold out a few weeks before and many woman were not able to attend due to it being sold out and expressed interest in attending the next one. If you are interested it is recommended to register soon. Important Note: This practice should be learned initially under the guidance of a trained teacher, and should not be done by anyone who is pregnant or might be pregnant, or with ongoing medical or mental health conditions, or with unhealed sexual trauma, unless cleared by your licensed health practitioner. This practice is not for anyone who has had recent back or abdominal surgery. Women who are menstruating or if you have cysts or fibroids you can participate; This workshop is not recommended for women who have experienced uterine prolapse; speak to Carol privately if you feel unsure. CarolMarie Fiorito is a Womb Priestess, Reiki Master teacher, nutritionist specializing in women’s hormonal health and Senior Dance of Liberation™ Facilitator. Fifteen years of mentoring students to birth their healing arts careers has brought Carol to lead and teach transformational workshops in India, Europe, Canada, New England, California, Oregon and her home of NYC. Her dynamic and ceremonial approach weaves ancient healing arts practices with contemporary shamanism and body-oriented therapies. She is the co-creatrix at WombAwakeningNYC and a Fountain of Life Teacher and Mentor of Womb Awakening Feminine Healing Arts. Carol lives with her husband, son and kitty cat in the East Village where she has a private practice and prioritizes taking time to pilgrimage to sacred sites and volunteer with organizations that promote social justice, diversity and respect for Mother Earth.